Back on Friday, 12 February, I was dismayed when I read the weekly New York City Rare Bird Alert email. 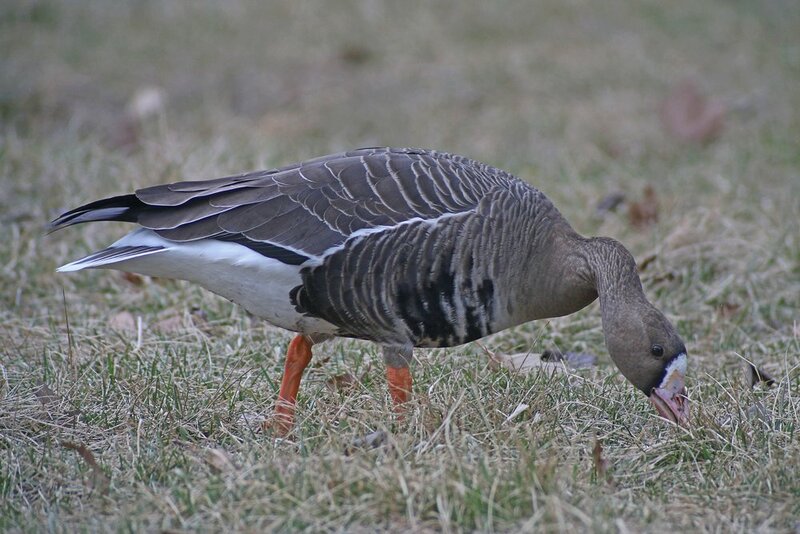 You see, someone had reported a Greater White-fronted Goose at Flushing Meadows-Corona Park in Queens. Why would a bird like that being reported in Queens dismay me? Well, it was seen on Wednesday, 10 February, and not reported anywhere except to the Rare Bird Alert hotline, where it languished until it was compiled with other reports for the weekly email. And, since it was seen, the weather had turned seriously colder, freezing lakes and ponds and reshuffling our wintering waterfowl. Now, a Greater White-fronted Goose is not a big deal in many parts of the world and isn’t even that rare in New York State. But one hadn’t been reported in Queens since 1995 which means that I had never seen one in my home borough! Despite my lack of hope I was out on the morning of Saturday, 13 February, scouring Flushing Meadows-Corona Park for the goose. Despite my best efforts and despite seeing around 200 Canada Geese, I had no luck with the Specklebelly. Oh well. So be it. I went off to Puerto Rico on Sunday night and had a blast and didn’t really give finding the Greater White-fronted Goose in Queens another thought. That is, I hadn’t given it another thought until early yesterday morning, Sunday, 20 February, when I was sitting on my balcony in some unseasonably warm weather and noticed several flocks of Canada Geese flying in the direction of Flushing Meadows-Corona Park. Though I hadn’t planned on birding for the morning both Desi and Daisy were still asleep so I figured they wouldn’t notice or mind if I took a quick jaunt through the park to see if the goose I wanted to see had returned. I searched Meadow Lake. I searched the grassy areas all around Meadow Lake. I searched the entire northern end of the park, including the golf course, the reflecting pool, the open water by Porpoise Bridge, and every open grassy spot I could find. 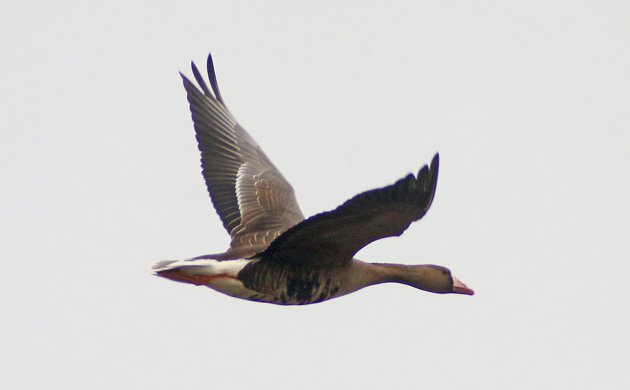 I saw lots of Canada Geese – about 450 – but no Greater White-fronted Goose. The morning wasn’t a total loss though. I saw American Coots, Common Mergansers, and Killdeer. I heard Red-winged Blackbirds conk-a-ree-ing from phragmites. In general, I enjoyed my time out-of-doors. 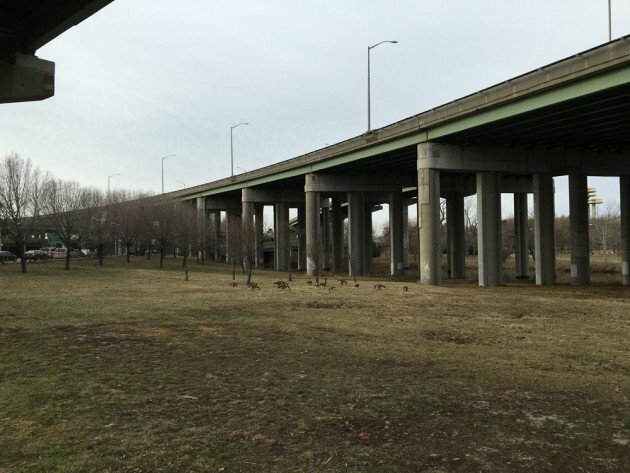 So when I saw a small flock of Canada Geese grazing in a grassy area under the Van Wyck Expressway I almost didn’t stop to take a second look. After all, birding under a highway is not exactly my idea of a pleasant experience. But a quick scan with my binoculars proved that the stop at the unassuming spot was well worth it. Greater White-fronted Goose! 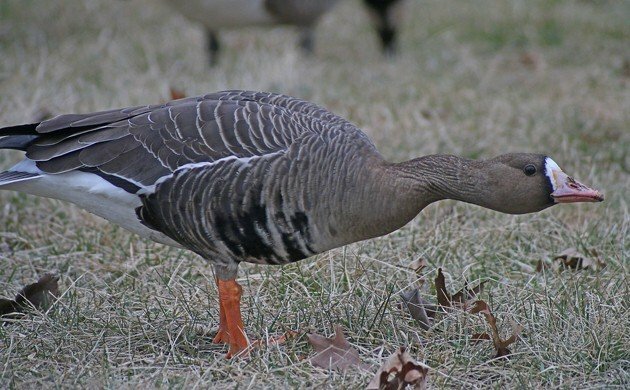 What a marvelous sight my seventh goose (and 313th species) for Queens was! It fed nonchalantly as I digiscoped it to my heart’s content. Sure, the traffic noise was horrible and the only birds I could hear over the traffic were House Sparrows but it is getting increasingly hard to add a bird to my Queens list – my last addition was Bar-tailed Godwit in May of last year – and it felt good to finally get another. The locale where I found the bird. That is the Van Wyck Expressway behind the flock and in the upper left hand corner is the on-ramp I was standing underneath while I digiscoped. Behind the Van Wyck you can make out an off-ramp that leads to the Long Island Expressway, which is only a few hundred yards away. In the left of the image is College Point Boulevard, a very busy surface street. This is an ugly location. I thought folks might like to hear the traffic noise so I included this video. After all, I had to suffer through it, why shouldn’t you? It didn’t take too long for my reverie in my birding Eden to be disrupted by an unleashed dog that flushed the geese. The white-front and a Canada Goose took off, circled until they were high enough to clear the highways, and then headed due north. I figured I had seen the last of the goose and I packed my gear up and walked back to my car, but not before putting the word out on the listservs that the bird had flown the coop. Was I ever surprised to refind the bird in a flock of Canada Geese to the south, at the north end of Meadow Lake, while I was on my way home. It must have circled back when I wasn’t looking. It was another nice look but I didn’t linger as I wanted to get home and enjoy the rest of the day with the family. Looks like a Pacific and not a Greenland bird. Nice! Absolutely! I actually meant to include that in the post…oh well, glad you pointed it out. I’m so happy for you.,…..but also so smug for last September’s me! … has the Eurasian albifrons been discussed? Where Are You Birding This Fourth Weekend of August 2015?